The film starts with chicken farmers in one of the southern states of the USA. The first farmer isn’t allowed to film inside his chicken house, but the next farmer shows the gruesome reality of mass produced cheap chicken. Not only are the chickens treated badly (no room to move, even if their over-sized bodies could move further than a few steps, lying in their own faeces, piles of dead chickens removed every day), but the poor farmer is in a debt spiral and has no control over her own business. Next time someone asks me why we “bother” to raise and kill our own chickens when we can buy a hot chicken from the supermarket for $5, I will refer them to this part of the film, it is certainly worth the effort and we get to eat real chicken. Next the film turns to corn and the fact that it is an ingredient in just about everything we eat due to the government subsidies in the USA. We are lucky in Australia that we don’t have such subsidies and so corn and soy have not become such a huge part of our food (yet). I was disgusted by the “food engineer” who was so pleased with the clever invention of high-fructose corn syrup – this stuff is literally killing people, it is not food! 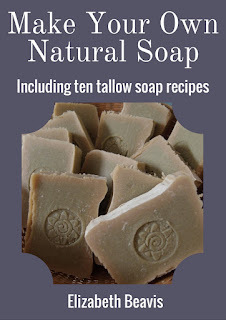 (see Sweet Poison for more information). From hidden corn in human food, the film then moved to corn in animal feed and the connection to the mutation of a human pathogenic form of E.Coli bacteria (E. Coli O157:H7, more references here), which can cause severe food poisoning resulting in death. This is where I think the film spent too long with a mother who was lobbying for increased food safety testing following the food poisoning death of her son. First, it irritated me that the grandmother was drinking a can of Pepsi, clearly these people had not entirely rejected industrial food production. Actually they just seemed to want to regulate the industrial food system, rather than avoid it. Towards the end of this segment, the film shows a meat processing plant that “cleaned” the meat with ammonia, yuck! I don’t understand why people are buying premade hamburger patties anyway, these are very easy to make yourself, from mince bought from a local butcher, or even minced yourself – we used to buy whole rumps from the supermarket when they were $5/kg and mince them at home. Anyway, I don’t think any amount of regulation of any food processing companies is going to help reduce food poisoning when the system itself is so completely flawed. The best option is to grow your own, or at least buy local from small producers, the less we support the big food processors the better, because all they do is cut costs and hope that there are no deaths linked to them. One of the saddest moments for me was the family that could not afford healthy food. I think the situation in Australia is slightly different, because I’m pretty sure that I can cook healthy meals cheaper than buying takeaway, as we don’t have $1 burgers here (as far as I know, I don’t tend to go to those places). Last time I bought fast food out of absolute necessity, I was shocked by how expensive it was. I really just wanted to visit that family and teach them how to grow their own, how to shop for cheap healthy ingredients and how to cook them so that they didn’t have to rely on cheap fast food. The worst part was that they recognised that the cheap food was costing them in the end in the form of medical bills. 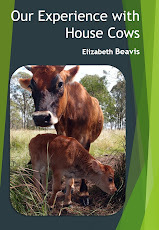 Joel Salatin also features in this film, and he has so much good stuff to say on this topic, he could have taken up the entire film if someone had let him. Really his appearance was all too brief, but it did give an example of what can be done outside of the industrial food system, for anyone who was thinking “yes, but how else can we produce food so cheaply?”. Throughout the film, the treatment of animals is shown to be absolutely shameful; they are treated as part of an industrial mass-produced system, rather than sentient beings with thoughts and feelings. Even as serious is the treatment of workers, which is briefly discussed in a few segments. Most of the meat-packing and vegetable-picking workers are illegal immigrants with few labour rights. The food factories are dangerous, operating at ridiculous speeds, and there is little time for human safety precautions, let alone humane treatment of animals. Its clear that a society that doesn’t even treat its workforce with respect has no chance of respecting animals either. The other really sad moment was when they showed an elderly gentleman with a seed cleaning rig who was being sued by Monsanto for “helping farmers to break patent” on their GM seeds. This made me so angry. Monsanto has no right to prevent farmers from saving seeds and from continuing farming practices that have provided us with food for hundreds of years. Sure they should be able to profit from their patent, but if their horrible GM genes spread to other people’s seed, they are the ones who should be sued for letting those genes lose in the first place. I heard Joel Salatin with an excellent quote along the lines of “if my dog got out and impregnated your dog, I wouldn’t be able to charge you for the puppies”, which is exactly what Monsanto is trying to do and it seems very difficult to afford to win the case, even though the accusation is ludicrous. A nasty reminder was the segment on organic produce owned by large multi-nationals. I don’t believe that organic food can retain its integrity when its produced alongside “conventional” chemical food, even if its not in the same factory, the decisions are made in the same board room. How can organic food retain its purity, both the product and the intent, when its being produced by people who will also happily fill food with chemicals in order to make a quick buck? Food companies try to conceal the real ownership of organic brands, so it can be a struggle to figure out who is really producing organic products. The simple solution is to not buy processed foods at all, organic or otherwise, they are not good for you anyway. If you buy simple local ingredients from as close to the source as possible, at least you can be more certain of the origin the product. The film didn’t get a chance to cover other relevant issues such as laying hens, the reality of some "free-range" production not being free at all, mass produced pork, sow stalls, soil degradation, water pollution, pesticides and food additives. There are so many factors that make our food system mentally and physically unsafe, for the workers, the farmers, the consumers and the animals themselves, the film has highlighted a selection of the most accessible that, I hope, will inspire viewers to find out more. The solution to all these problems is simple; we need to care where our food comes from, who produces it and how. We need to buy local whenever possible. And we need to pay attention to law changes that my erode our right to know what’s in our food, and ask for changes that can help farmers to produce good food. Remember that real food is produced by farmers, not by factories. Did you watch it? Will you watch it? What do you think? 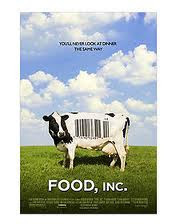 I have watched the preview of FOOD inc (and read all of Michael Pollans books - I am a HUGE fan!) I didn't know it was on SBS - I hope they show it again. I just wish I had more land, but will do what I can with our tiny garden. I shared your thoughts about the 'main stream' adoption of organic Liz. I'd even go so far as to say those in the board room can't control things. I big publicly listed company is a slave to its share price, those in the board room will only play with organics when it keeps shareholders profits on the rise and would turn their back on it in a second if needed. There is also the issue of food miles, not much point in organic food if you are going to connect it with a national or international distribution system. Fixing the environment with one hand while trashing it with the other. It was a good film. It made me angry. I have watched it twice. If the part about the seed cleaner made you mad, watch David vs Monsanto. That should have steam coming from your ears. After some recent changes to Centrelink payments there was a plethora of stories of Australian's doing it tough. These folk were struggling to put food on the table and would describe the bare basics they had to buy and how their health was suffering. The majority, for one reason or another, were also overweight. - Buying seasonal isn't some elitist hype, it makes sense. In season means abundant and that means cheap. It's basic economics. Tomatoes are cheaper in summer. - Buy when the prices are at their lowest. I shop at the Adelaide Central Markets. Come 2pm on a Saturday stallholders want to clear what is left. This is the time when you can get 3 bags of beans, potatoes, tomatoes; whatever, for $2. It’s pretty neat. This stuff is great for immediately turning into soups, pasta sauces, curries and stews. A few dollars of slightly sad—rarely is it bad at all--fruit and veg can go a long way. - Cook big. I like to cook big batches and freeze them. That way there is always something healthy to grab, defrost and reheat. I think there are many barriers stopping people from doing the same. Most of the poor live away from where all the choice is—in areas dominated by the malls and big supermarkets. They're not educated in budgeting, menu planning and cooking. They're not empowered to look after themselves--they've given up and take pleasure in junk food, which is what junk food companies set out to do; make it all about the pleasure. They get little help in this area and it shows. I’d like to see Centrelink and the health department provide more assistance in these areas. When a person is put on a payment, give them a small gardening kit. Show them some useful skills. Empower them. Public-issued houses, in Adelaide at least, are usually on sizable blocks. Perhaps something more could be done with that land. I agree with Megan, David vs Monsanto made me furious. I too agree with the mainstream adoption of whole foods.I have been watching the woolworths 'macro whole foods ' range with interest.... many 'organic ingredients ' are listed but they often come from unsustainable practises through the use of palm oil etc. We watched this movie with our teenage children...if there is one way to turn your kids off take away, it is this movie. Now they know why we live the way we do. We saw this film in the theater. We had to drive more than an hour to see it since it was not showing in the town we lived in at the time, which is primarily in existence to support one of those huge meat producers. We had seen those chicken houses, but didn't know what they were until after we had seen the movie. I have experienced the food deserts here in the US... often when I'm traveling for my day job. It's quite surprising that in more than a few places here in the US, the best, most reasonable access to food is either the convenience store or a fast food restaurant. So many people, literally do not have access to whole or natural foods. It's heartbreaking. There are some organizations working to bring in community gardens or mobile groceries, but often times the laws make these things difficult. Quite surprising when it really wasn't that long ago that keeping your own "Victory Garden" with chickens and produce was considered your patriotic duty. Now doing those things is often a crime. I think the main point I took from the ethnic family who kept purchasing fast food, is that the parents were both working ludicrous hours to afford the cost of living - not that they couldn't make better food choices. They lacked the time to prepare food (even to shop for it) when the family had to leave really early in the morning to get the kids to school and ride the highway to get to work on time. The parents literally didn't have the time for food preparation, as they were working for the cost of living. As someone who does have five acres to grow food on, but a husband who works long hours to pay for the mortgage, I can relate somewhat to the bind of wanting to do better - but having only maybe 4 hours in the day to do anything with. It's a choice between ruining your health with stress to eat the right foods, or ruining your health with processed foods, so you can spend those few hours with your family and catching your breath again. I saw the problem as bigger than just the food manufacturing industry, though the film was correct to focus on it for educational purposes. That's what I really loved about Joel Salatin's contribution to the film (as small as it was) as he was talking about the pigs being pigs, just as humans should be human in their family herds - perhaps doing more of what they want to do and enjoying their existence more. But it's very hard to do in a world that is dominated by the flow of money. We keep plugging away on our property, because we hope to one day have more freedom. I'd rather plug away at 5 acres than in suburbia, but that's our personality type - we like the space and interacting with the animals which live here as a way a life. We'd rather be exposed to the natural elements than the man-made ones. But it all costs money wherever you live, and one has to strike a balance with what's good. While I appreciate the film for not shirking from the reality, I think as viewers we have to be cautious not to judge others' situations as if they had the same choices. I think one of the points of the film, is that the working poor (whether illegal immigrant workers, legal immigrant workers or the average farmer) were forced into making horrible choices to keep their heads above water. I know he can learn, and is learning more stuff all the time (I actually have the mechanical mindset) but am responsible for raising the family and preparing the food too - I can't possibly do it all either! I loved watching Food Inc for what it was, just the truth about what's going on behind the scenes of the food system, but it certainly didn't address the bigger questions of community and how we "can" take responsibility for our food system back. There are quite a few wonderful documentaries available to watch, which are really educational about the food system. I loved watching Super Size Me, too, as an expose on how quickly health can degenerate on a Fast Food diet, based on eating bigger portions. But the answer to these horrible situations comes back to community, the village mentality that needs to support one another. Is anyone aware of a good documentary which explores this potential for a solution? Chris, I recently watched Transition 2.0 through my local Transition Town but I believe you can buy it on the website. It deals with precisely what you have mentioned - the growth of sustainable communities world-wide who are premised on a 'village mentality'. Thanks for all the comments, it was certainly a thought-provoking film and just made we want to take more control of what I eat. The factory farming wasn't as much of a surprise to me now, but I was totally appalled my Monsanto. I knew they were bad before, but the movie actually SCARED me!